Although it is still early in the year, January brought a couple promising developments in the fight for upstream mitigation. A surprise land purchase announcement from the Government of Alberta this week has been cause for optimism (albeit very measured optimism), and a newly formed flood coalition is strengthening our efforts in the lead up to the next general election this Spring. We’ve summarized key news below and you can read each item in more detail on our blog. 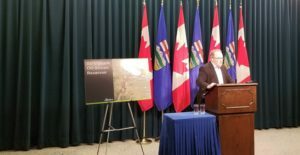 The Government of Alberta has announced that Springbank landowners, the Robinson family, have agreed to sell the land required for SR1. With this latest acquisition, the province has now purchased 20 percent of the total land required for the project. Read more. 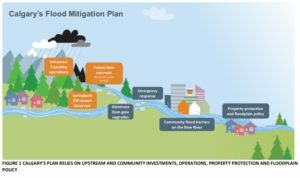 In January, Flood Free Calgary joined forces with fellow flood advocacy group, Calgary River Communities Action Group (CRCAG), to host a community forum on flood mitigation and to kick-off a flood coalition in support of upstream mitigation. Community leaders were invited to the January 23 event to learn about challenges facing upstream mitigation projects, including the risk the provincial election poses. Read more. 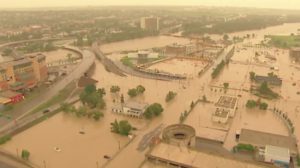 Over the next few weeks and months, we will be profiling the stories of Calgary home and business owners about their experiences with disaster, tragedy, and perseverance through the 2013 Calgary floods. You can read the first story from Paul Battistella, Co-owner/Operator of Battistella Developments, on the blog here. Do you have a flood story to share? We want to hear it. More details here.